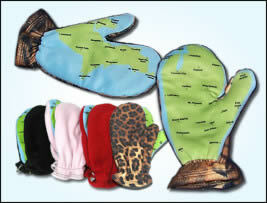 MI Map, LLC mittens are designed in Royal Oak and manufactured in the Great Lakes State. Mi Map, LLC is an apparel company whose focus is to promote Michigan and its unique features in the form of clothing and other products. The products are designed in Royal Oak and manufactured in Michigan. For each item sold, 10 percent of the net profit goes towards helping people in both peninsulas. Mi Map, LLC was formed in 2010 and began production in December 2011. 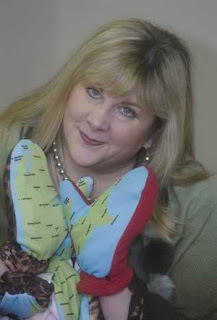 The first product offering is the most obvious—a mitten. “It’s imperative to me that Mi Map, LLC products be made in Michigan because I want to do my small part to keep this state moving forward. Michiganians are wonderful, colorful and resilient people – exactly who I want on my team.” said Chubenko. For details on the company and its products, visit www.mimapllc.com. See p. 45 for article. If you wish, you can view just the article here, but I recommend you look through the magazine because it is really well done. You will find cool products and services in our area about which you may not have known. I'm still working out the final pieces of production but I hope to have them available very soon.